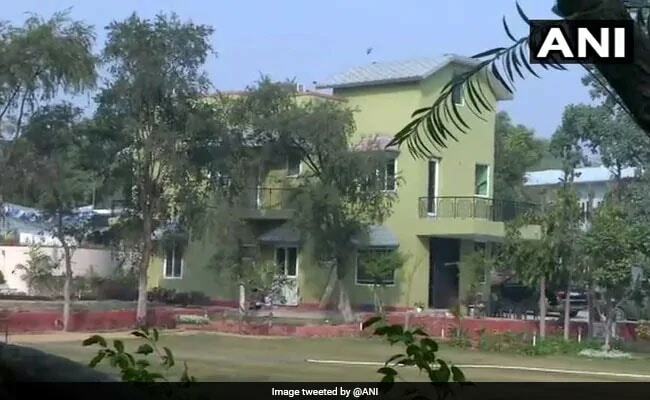 A 42-year-old woman architect, who was injured in celebratory firing during a New Year's Eve party at a farmhouse in Delhi, died today. Raju Singh, a former JDU legislator from Bihar, has been arrested for the woman's death and taken to the AIIMS for his medical test, police said. Raju Singh and his driver were detained in Uttar Pradesh's Gorakhpur on Wednesday. A pistol and a rifle were recovered from the car they used to escape after the incident, Special Commissioner of Police, Law and Order (south), RP Upadhyay said. Earlier, two rifles and 800 bullets were recovered from the farmhouse in south Delhi's Vasant Kunj. The farm house is owned by Raju Singh's mother where he lives with his family. "We have arrested Raju Singh and his driver Hari Singh in connection with the incident. They will be produced in a city court later in the day. Police will seek their remand for seven days," he said. A case was filed against Raju Singh, said a senior police officer and added that the accused has five cases registered against him. His wife is a former Member of Legislative Council from Bihar. In Delhi Firing Case, Ex-Bihar Lawmaker Taken To UP To "Recover Evidence"